Heated Leather Seats, Third Row Seat, Satellite Radio, ACCESSORY PACKAGE, TOUCHLESS POWER BACK DOOR, Back-Up Camera. RX 350L Premium trim, NEBULA GRAY PEARL exterior and BLACK (FILM) interior. EPA 26 MPG Hwy/19 MPG City! CLICK ME! Leather Seats, Third Row Seat, Rear Air, Back-Up Camera, Satellite Radio. HEATED & VENTILATED FRONT SEATS (HS), ACCESSORY PACKAGE Cargo Net, integrated storage pouch, Carpet Cargo Mat, Key Gloves, Alloy Wheel Locks, TOUCHLESS POWER BACK DOOR. Lexus RX 350L Premium with NEBULA GRAY PEARL exterior and BLACK (FILM) interior features a V6 Cylinder Engine with 290 HP at 6300 RPM*. At Lexus Santa Monica in Santa Monica, we have the new and used vehicles you have been looking for! 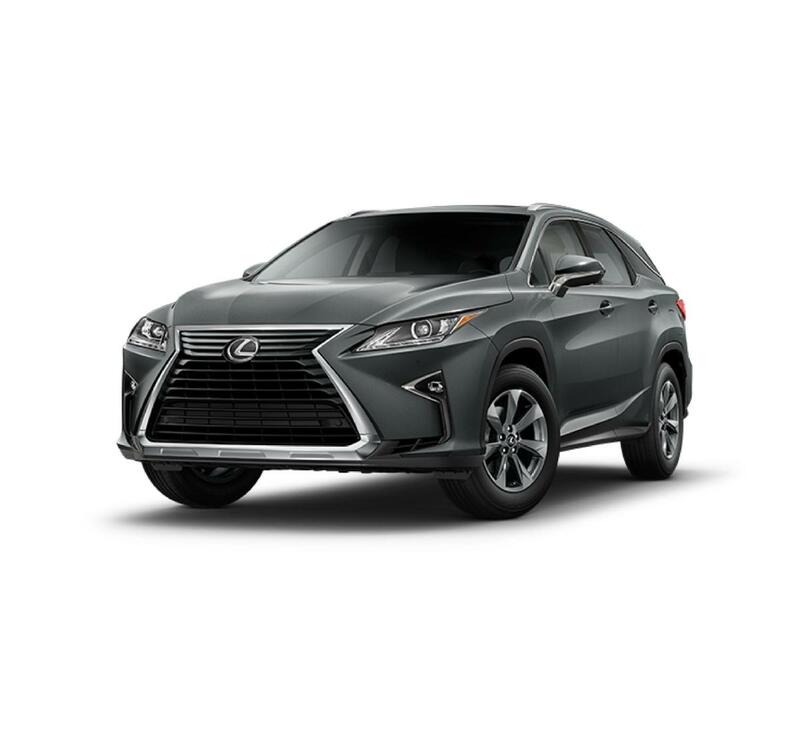 This Nebula Gray Pearl 2018 Lexus RX 350L Premium, is available right now at your Santa Monica Lexus dealership. Call us at (424) 229-9998 if you have any questions about this Lexus or any of the other vehicles at our Santa Monica Lexus car dealership.